In this field, specify the email address on which the messages will be sent. For example, if you want that all the messages should be sent on your email address, then fill in your email address in this field. You can set custom margin of Contact form from all the sides. The margin will be same from all sides if ” Select All” option is checked. Uncheck ” Select All” to specify different margin from all sides. These fields are added by default. You can add more fields. 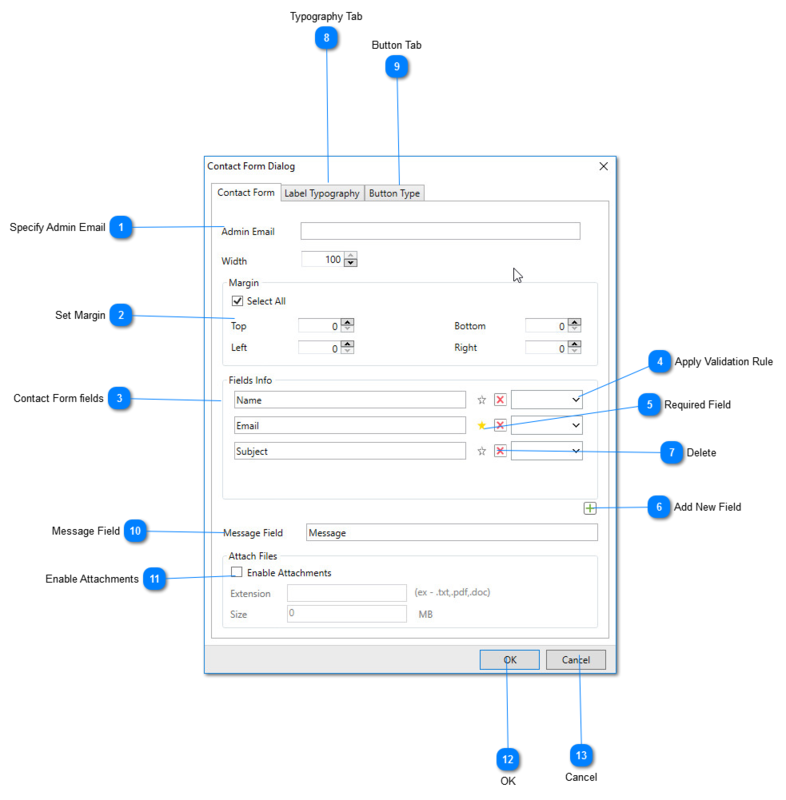 Click the drop down arrow and select a validation rule for the field. This icon signifies that this field is mandatory. To make a field mandatory, just click the “star icon” shown beside the field. Click this button to add a new field in your contact form. Deletes the contact form field. From this tab, you can change the text style of the labels used in your contact form. Avails you to select the type of the button you want to use on your contact form. 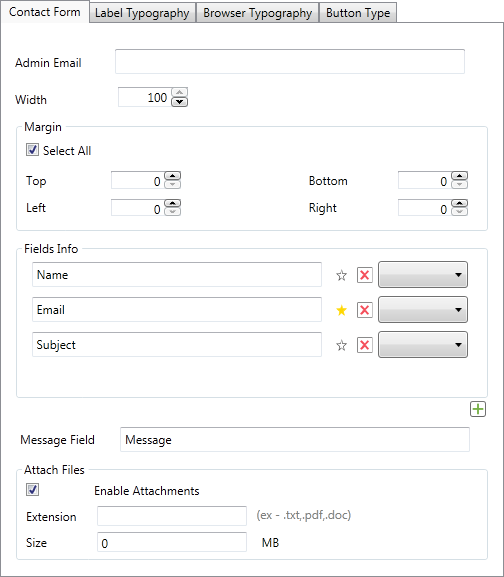 It facilitates a message box in the contact form that provides a text area to the user to write the message. Adds the contact form in the template/website with changes applied.